How I wish I could be in Ecuador today! We are in the single digits which presents a challenge even for hardy Midwesterners. Revisiting the trip through these photographs is only a little bit more frustrating than trying to take the pictures themselves, but I am grateful for the escape on a day like today. 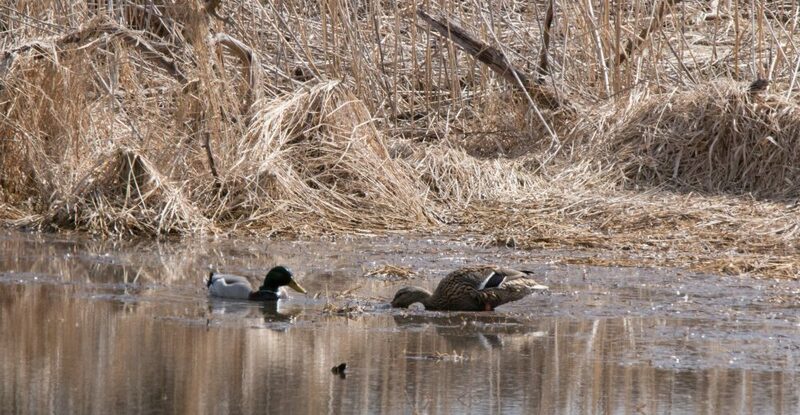 The two pix immediately below represent two frequent quandaries: one, a lot of vegetation, but where was the bird, and two, we can see the birds but they are far away and have their backs to us. The Crested Quetzal at the head of this post was the only one that ventured to turn around. Above, three views of a Black-Crested Warbler. Below, a Scarlet-Rumped Cacique. I think the best looks I got at the Mountain Wren below were outside my back porch. Also in the “yard”, an Azara’s Spinetail. And a Cinnamon Flycatcher. The Green Jays are…also yellow and blue and black. Sometimes I got a good picture in a less-than-attractive setting, like the Chestnut-Bellied Seedeater below. While we were grateful for sunshine, sometimes its intensity interfered with images. Below, a Streaked Xenops, Squirrel Cuckoo and Red-headed Barbet. Anytime we encountered rushing water we were looking for Torrent Ducks. We did finally find this male. A Tropical Kingbird on the left, a Short-crested Flycatcher on the right. Woodpeckers were seen infrequently. Below, the best I could manage of a Yellow-Vented Woodpecker. I am grateful for any Mountain-Tanagers I managed to capture. Below is the Blue-Winged. Also directly around the room, a beautiful butterfly and a hairy but flashy-looking fly. And this Green Jay was reminding me he too can be camouflaged. Somewhat. As hard as it is to sit inside with the sun shining brightly today, I know that clarity comes at a price… We are due for a slight warm-up tomorrow, just enough to turn cloudy and start snowing. Hey. The days are getting longer. Spring is coming. Keep thinking Spring. It will happen. Have faith. And I have yet more tropical diversions in store for this page. Springlike weather is still far enough away for me to feel like I can put myself back in Nicaragua with a few more pictures. But it’s getting harder and harder to go backward! One more of these posts and I’m going to have to move on to spring migration. The bird above and in the pictures below is a Tri-Colored Heron. 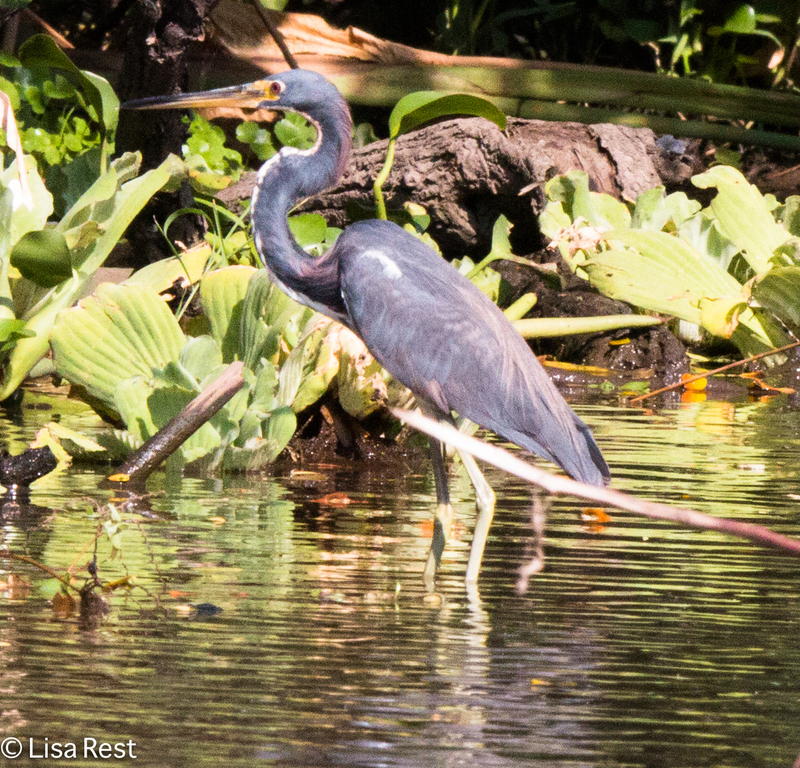 We took a boat ride around Lake Nicaragua and managed to see some really nice birds. And despite the rocking of the boat I managed to get some pictures. I feel like this trip cemented the difference between Snowy Egrets (below) and Great Egrets in my brain so I don’t have to think about it anymore. We pulled up to an island in the lake that has been devoted to a habitat for monkeys. Below are pictures of one Howler Monkey, a Spider Monkey and a Capuchin Monkey. Sadly we discovered that people were feeding these monkeys bad things like the lollipop the Spider Monkey on the left below is clutching in his hand. I couldn’t tell exactly what one woman was offering to the Capuchin but it appeared to be something like a potato chip. Back out on the lake, among perched birds were an Osprey and a Black Vulture. We came upon a colony of nesting Montezuma’s Oropendolas. Their nests alone are fascinating. Below is a Little Blue Heron. I will be back with one more post from Nicaragua. I hope soon!